Herndon Travel Soccer competitive programs offer opportunities for all levels of travel soccer. Our teams compete in the Region 1 Premier League, Eastern Development Program (EDP), the National Capital Soccer League (NCSL) - Boys & Girls and State Cup & Presidents Cup tournaments. 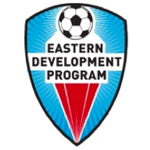 The EDP exists to support soccer programs in the region which are professionally managed with player development as their primary focus, and thereby to support the growth of soccer in the United States. We seek to work with clubs that, while competing with each other, are ready to be part of a collegial and mutually supportive group that works together to promote the game and serve the needs of high potential players. We believe that for soccer to grow we must be successful in encouraging the maximum of talented athletes to choose soccer as their primary sport. EDP clubs are dedicated to that end. NCSL provides play for boys' and girls' teams ages U9 - U19. Participating clubs range from Baltimore and Frederick to Loudoun County and Stafford. NCSL fields up to 60 teams per age group, divided into six to nine divisions, and maintains a wait list for additional teams.